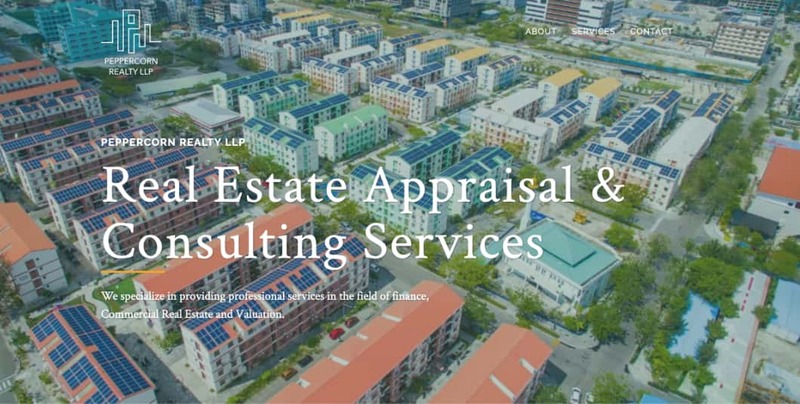 Project Breif: Peppercorn Realty LLP is specialised in providing professional services in the field of finance, Commercial Real Estate and Valuation. They needed a website to inform potential customers about the services that they provide. Requirement: A profile website that provided all the information about who they are and what they do. Concept: Single page layout with a hero image covering most of the screen.